Brand new Texas Instruments LM1881M / NOPB (lead-free) sync separator (cleaner) ICs, tape packaging. 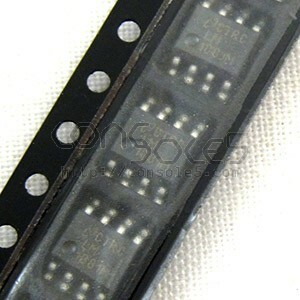 Brand new Texas Instruments LM1881M / NOPB (lead-free) sync separator (cleaner) chips! Typically used to extract CSYNC signals from Composite video inputs, for use with RGB-capable systems that don't natively output CSYNC. Needed to use RGB with certain brands of monitors and upscalers that cannot process SYNC signals from Composite video. In some cases, even if the monitor can use Composite video, a sync cleaner circuit will further improve video quality.